KoopaTV: The Reason Why Inklings Dissolve in Water — The EPA?! If you haven't heard, a bit over two weeks ago (August 5) some EPA morons caused this inactive mine to burst three million gallons of toxic metal waste from the Gold King Mine in Colorado into the Animas and San Juan rivers. This caused the water to turn, um, orange. Some folks out there believe it was intentional — and I wouldn't doubt it. The Animas River on August 6. Apparently the EPA didn't bother telling anyone for a few days (despite the water visibly being discoloured) so now everyone wants to sue them. The toxic has made drinking out of there a messy business. You also can't shower or do laundry. There are a lot of livestock, too, that can't sustain off a poisonous river. There are dying cows out there! In a much worse situation than the ones being oppressed at Moo Moo Meadows. The EPA says they're taking full responsibility and will reimburse folks for the damages. Of course, the EPA doesn't produce any wealth or anything — they obtain their wealth from the very taxpayers they're reimbursing. Why do taxpayers only get their money back when the government goes out of its way to non-secretly create a disaster? 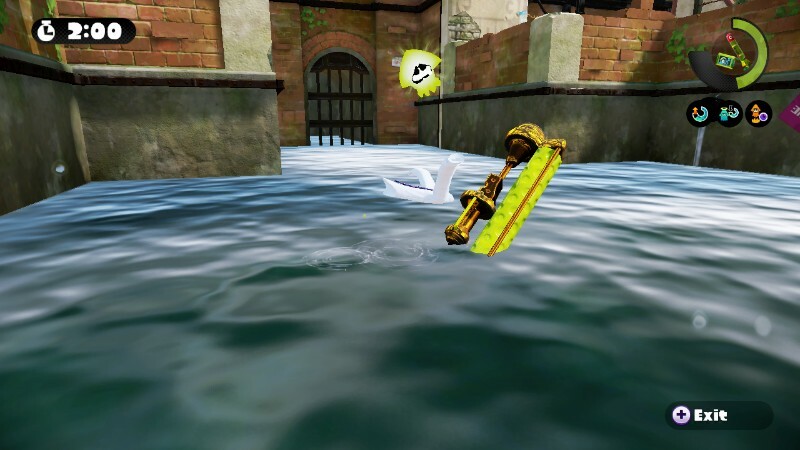 Anyway, how does this connect to Splatoon? Well, the Sunken Scrolls depict the fall of mankind after water-related disasters. Could it be that instead of sea levels rising, the sea levels remained the same but became uninhabitable after the world's water supply was destroyed by the EPA? And as a result of the EPA's meddling, the EPA went and tried to write more and more regulations to punish the people for having more disasters... even though the EPA caused them. Those regulations forbid the natural resources that should be allotted to the public, resulting in things like uninhabitable lands and whole states without proper water. Basically, it's not that the water covered up all the land — it's that the lands became uninhabitable so they acted like they might as well have been abandoned. Even though the world has many natural resources, what happened was that humanity destroyed itself through overbearing government regulations and public sabotage to make the people comply. And, of course, the United States empire conquered a large portion of the world fueled by the military-industrial complex and funded by government bureaucrats who wanted more and more land under their power. So most of the world had the fate of destruction by EPA. Many years after, the Inklings developed with the Octarians as the dominant surviving species. They fought over the remaining inhabitable resources that still existed in the areas where, when it was still around, humanity had small government, enforceable contracts, and liberty. Inkopolis wasn't one of those places, because no one is going to allocate one of the few areas with valuable resources on housing a bunch of violent Inkling kids. And so, the water there is pretty toxic. These Inklings are delinquents. They don't want to learn history — they simply want to splat one another and buy new clothing. Those who don't take the time to learn history's lessons are not going to have the benefit of knowing what's a bad idea. Filling its water sources with corrosive orange junk. History is repeating itself in the future. You need an educated and free populace to maintain a thriving society that doesn't destroy itself. The United States ain't free, and the Inklings sure ain't educated. Be the smart Inkling and join one of the Splatoon Global Testfire dates. Yes, they're back. 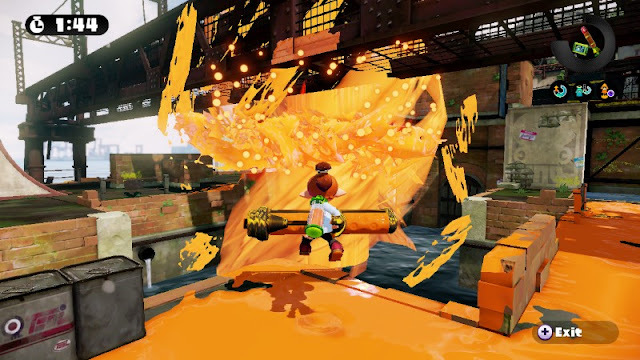 If you own a Wii U and haven't tried out Splatoon, this is a great time to do it. While you're momentarily in Inkopolis, give 'em your fresh and educated perspective that KoopaTV has now given you. Only you (and the other KoopaTV participants) can save the universe from government-created calamity! Tune into KoopaTV every weekday (or whenever convenient to your schedule) for the freshest outlooks on the videogame industry and anything else KoopaTV decides to publish. Contribute your voice to the discussion — whether they be comments or guest articles! And be rewarded for doing so via the KoopaTV Loyalty Rewards Program! Then you can get real currency to use to buy Splatoon for yourself without having to beg for more Global Testfires. ...Also, Ludwig obviously hates the EPA, as would anyone who tries to run a business in the United States. Ludwig has briefly mentioned the EPA's destruction in the past. Squidwig hasn't been seen since Splatoon came out! Read about his adventures in purchasing the game here! Are you a kid now or a squid now? Check out remixes hosted by Squidwig. Squidwig comes back with a report on Squidmas! The Splatoon Global Testfire still hasn't ended: It reappears pretty much exactly a year later. The Octarians want to mess up Inkopolis even more by inhabiting it. ...So I actually missed every single Testfire. Woops.